The device is having great specifics but the GPU is quite low. That's why games like Asphalt 8, Asphalt 7, Need For Speed Most Wanted, Need for Speed Hot Pursuit, Dead Trigger 2 are having some glitches! Don't know what's wrong but I think the GPU is less, the RAM and Processor are good. Wait, don't be sad! You can apply tons of tweaks on your device and I'm sure that these games will work after rooting Gionee E6. You can try Xposed Framework, Greeify, Geeky Engine, Adrenalin Engine, Seeder and many other tweaks to run your device more smooth and faster. But you can't apply all these tweaks without Rooting! So you need to root your device for gaming and performance. The device was sold in July and within 1 week, the stock was finished/sold. So you can think how many people bought this. The developers rooted this device in just 5 days after the launch, after all, it's an MTK-based device. You can root it without any risk, yep, trust me. Everything will go right but still I won't take your headache (Risk) because I won't came to know that you did everything right. The guide is tested by over 1k people and it worked on everyone's device. Let's begin our journey finally, lots of chit-chat! Just follow these steps and do not mix any other guide with this guide because it can result to bricked device! USB Debugging enabled [To enable it, first enable Developer Options, you can do this by going to Settings>About Phone and tapping 7 times on Build then go to Developer Options, enable it and turn on USB Debugging. Download the Farmaroot 1.6.0 APK application form the Downloads and Requirements section. Install it on your Gionee Elife E6. Open the application from your launcher's drawer and select Install Super su from the drop down menu. Now click on Borimor button. Now you will see a message Success :-) Superuser & su binary installed. You have to reboot your device. Press OK and restart your E6! Now you will see a new application named SuperSU in your application drawer, if you saw that, it means you are rooted! You can cross check if it is rooted or not by trying applications like Root Checker. If you are having any problem at any step, shoot a comment here. I'm here for your help! 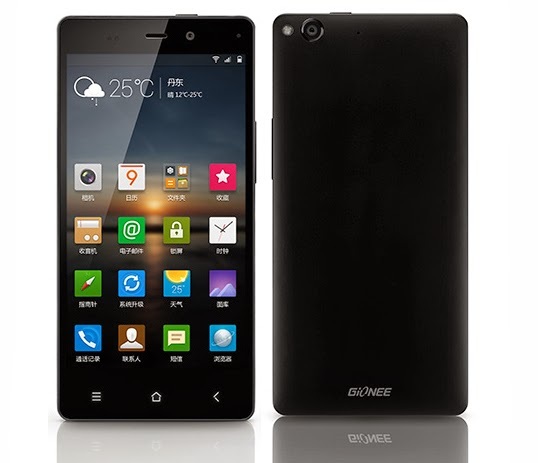 Buy Gionee Elife E6 at only 25 thousands from Flipkart!